Premier Studio specialises in outdoor photography that will add new life to your home. Set amongst 5 acres of manicured gardens, we boast a variety of purpose built hollywood style sets that will capture the essence of your family at play. The opportunities are endless with our Natural Bushlands, Beach Set, Country Cottage, Tractors, and even genuine Egyptian Doors. We are sure to capture the fun in everyone. Your gift has a 3 month expiry from date of issue. 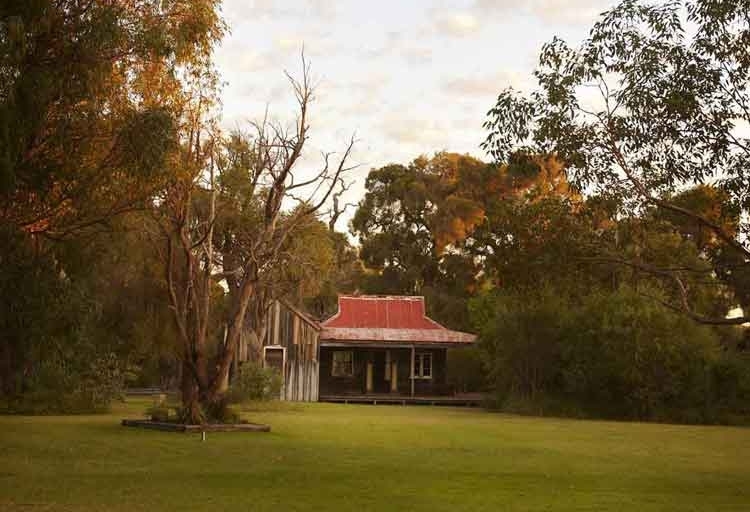 We have purpose built an Australian Farm House Cottage right on our property. Built to look like an original house on the property (you will be amazed it isnt really the first house in Banjup!) It is the perfect backdrop for our natural, casual photos. The kids love it too. It's really just a massive cubby house. But wait! We havent told your the best bit yet.... because we designed it JUST FOR PHOTOS - it has 4 different sides! One side is a limestone wall (inspired by the round house in Fremantle), another side is white weatherboards, to give a different feel (without going very far at all). The windows and front door are all original. Re-purposed from salvage yards - we have given these old gems a new life. Perfect for you family to lay on the verandah and play with the lego. Sit on the deck chair and have a cuppa... What about leaning through the windows and telling secrets to your sister (only she will keep all your secrets, right?!) Maybe you are reading Harry Potter (for the 7th time) The options are endless. Want to see more? Have a look at our Gallery here. We know that the beach is a massive part of WA families. That's why we have brought the beach to you! (Well - we left the water behind). We've got a massive full size Jetty, sand and real limestone rocks for the perfect backdrop. The warm tones of our Beach jetty set is perfect for the coast-loving, beach going, fishing, sandcastle building family that you are. This amazing set is best first thing in the morning- located at our Perth Studio. So if you are keen on it - let us know and we will book you in for the first session of the day. 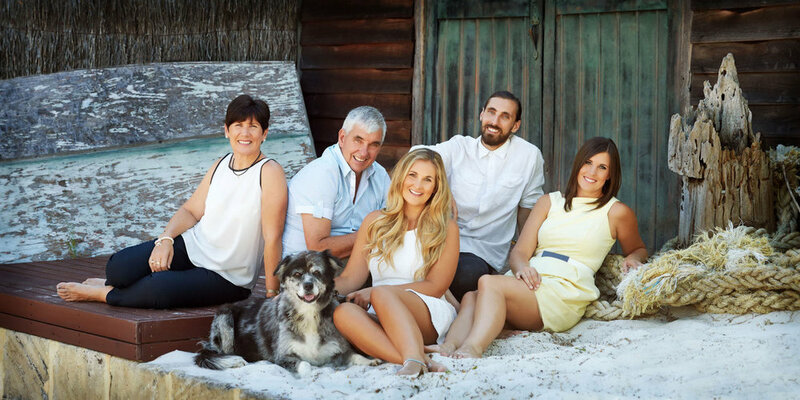 We were inspired for this set from growing up in Coogee, Perth. Think long lazy days spent on the Jetty with sand between your toes. We have upturned boats and old cray pots; don’t forget to bring your fishing rod! Want to see more from the Jetty Set? Go here. One of our most surprising sets is our imported doors from Egypt. (I say suprising because they are located right on the main house, and everyone is suprised how beautiful and magicval they are when they see them. You are instantly transported to another destination. We have old suitcases to give a travel feel. Do you love a coffee (or a wine)? We can create a unique cafe style set right here with the addition of a couple of chairs and a table - Voila! You're in Tuscany sipping macchiatos with your puppy right next to you. Perhaps you have a beautiful long dress. We can do some twirls. These doors are the perfect backdrop. Whats better than one beach set? TWO of course! The Boat Shed has more cool tones. Featuring blues and greys. Full-sized re-purposed boatshed doors provide the backdrop of a wooden deck. These natural, rustic features (complete with a LOT of white sand, a beautiful blue up-turned boat and old cray pots) lends itself to modern homes with the colour pallette of white and grey. The Boat Shed setting in Perth is best ion the afternoon. Book your shoot for the last session of the day if you are wanting this gorgeous look. Want to see more shots of the boat shed? Go here. Want a cool, street, urban feel to your photos? We made this one just for YOU! Our newest installation at Premier Studio in Perth is the custom-designed Grafitti wall. A nationally recognised artist came to Premier Studio and designed a one-of-a-kind urban art piece. The Graffiti Wall has an urban street feel. Contact us for pricing on specific products and sizes. All our photos are printed on archival lustre paper. Our framing is finished with acid-free matting, foam core backing and professionally finished by an artisan framer. These traditional art pieces suit any home. 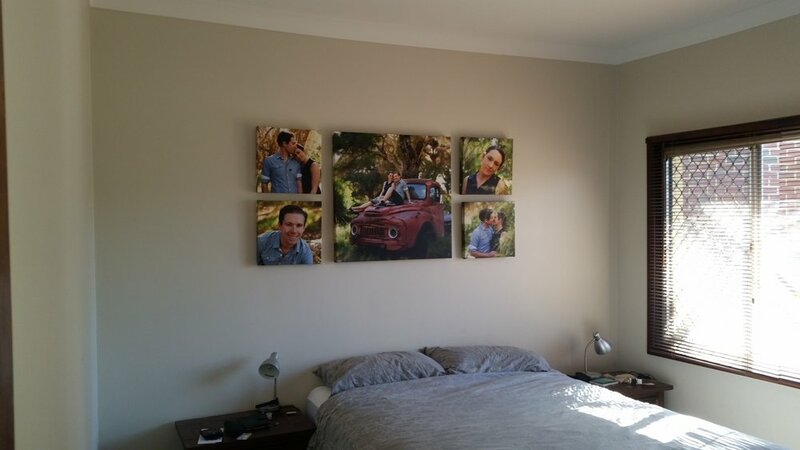 Our Cotton Canvas product is unique to say the least, Printed with ink onto fine woven canvas it is like a painting. We only use a museum-grade French Cotton Canvas. Ensuring your photos last a lifetime. The texture of canvas is a perfect medium for vibrant, intense colour. Printed using ink onto cotton and then finished with many layers of protective UV coating. Our French Cotton Canvases are guaranteed to last 200 years. Tell your story with our Gallery Set. Choose from Cotton, Classic or Acrylic for this versatile series. Perfect to bring a statement to small spaces. Coming in sets of 3, 4 or 5. 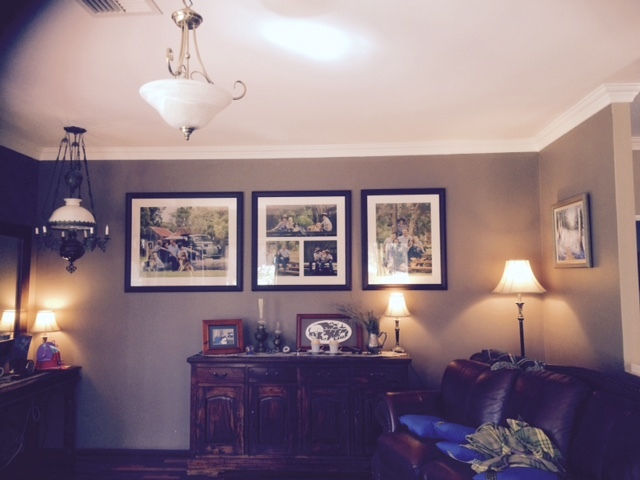 Display the gallery in a number of different ways or even seperate if you wish- designed to suit your home and style. The Vue is perfect for smaller spaces and still provides the WOW factor! Choose between Cotton or Acrylic. Why confine yourself to one photograph? The Urban collection lets you combine five images of your favourite shots in one stunning piece. Available in 1 size. Can be portrait or landscape. Our press printed book is specially printed just for you. Designed with simple magazine style layouts the finished product looks exactly like an art book from a bookstore. A stunning leather box with a glass cover to showcase the image of your choice. The Portfolio Box has images presented behind white core matting. 8”x10” photographs presented in an acid free 11”x14” mount. An acrylic tile with high visual impact, these give the image a luminescent 3D effect. The tiles are freestanding, so there is no hanging required. Perfect as a gift or in an apartment.